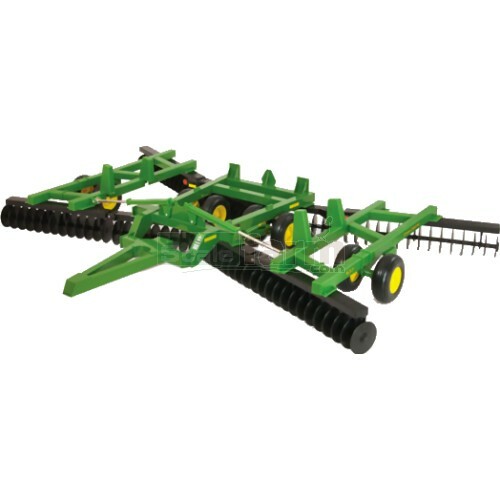 Big Farm John Deere disc harrow with real working action. Discs rotate for ploughing, road wheels fold up and down for transportation. Compatible with all Big Farm tractors.